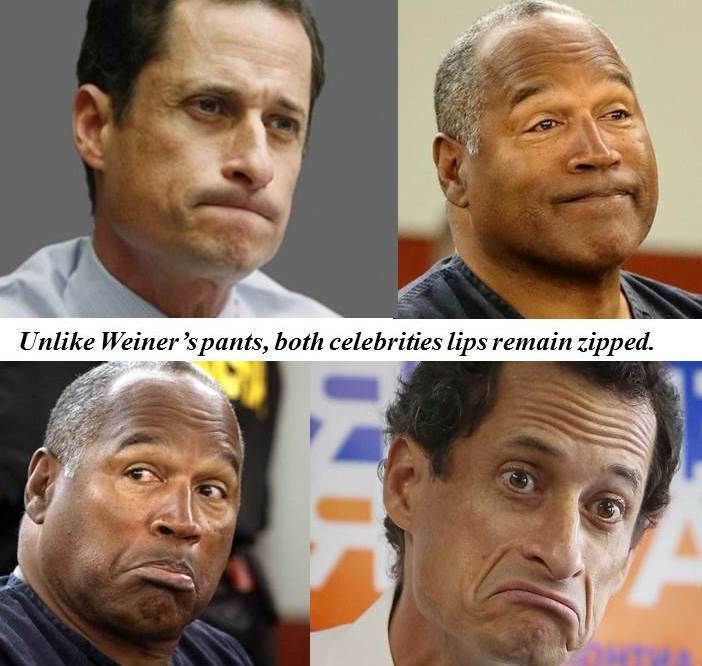 New York, September 16, 2015 — Peppercomm co-founder and CEO, Steve Cody, admitted late yesterday that his firm is reconsidering the strategic alliance it recently struck with ex-NFL great and convicted felon, O. J. Simpson. Cody admitted the soul-searching is a direct result of the executive-level exodus from MWW after the latter agency retained political naughty boy, Anthony Weiner, to provide crisis counseling to clients. “While we’ve always prided ourselves on pushing boundaries and going where no agency has gone before, I must admit the MWW imbroglio has cast a chilling effect here at Peppercomm,” said Cody. The executive was quick to point out, however, that the Juice has already performed admirably in his role as Peppercomm’s director of sports marketing & memorabilia. “The man’s got connections with people and, ah, organizations with whom we’ve never interacted. I have no doubt that, if given the chance, O.J. would fit Peppercomm like a glove,” Cody chuckled. Cody indicated that, even if the firm should disengage with the former Heisman Trophy Winner and NFL legend, the firm is in “…serious discussions with a former U.S. president to head-up Peppercomm’s intern program. I can’t betray any confidences, but let’s just say this guy is synonymous with intern mentoring,” hinted Cody. Peppercomm is a strategic communications and marketing firm that, by helping clients see around the corner and determine what’s next, pushes boundaries while mitigating risk (except its own). What next? Are you hiring Ann Coulter to enhance Peppercomm’s relationship with the American Jewish community?! Funny. Did MWW’s top flacks know they’d get some flack? My guess is the HRC campaign wanted Weiner out of their harm’s way.